Summary of the guidelines for the prescription of a seated wheelchair or mobility scooter for people with a traumatic brain injury or SCI. The guidelines are intended to inform and guide the therapist on clinical actions and decisions, but do not replace the need for clinical reasoning, judgement and/or supervision. 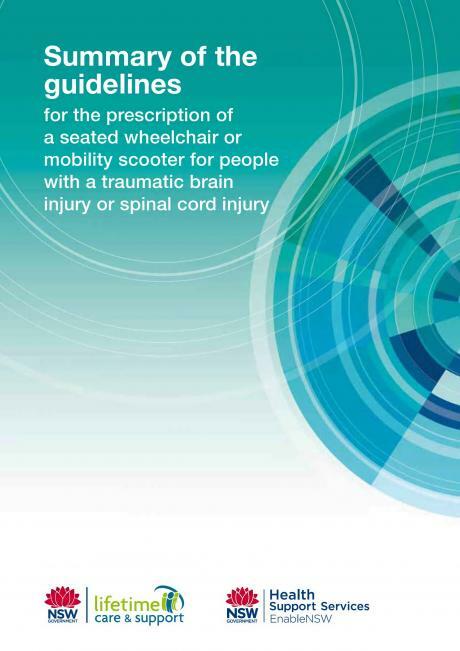 It is intended that prescribers of wheelchairs use this summary of recommendations as a quick reference in conjunction with the complete guidelines and resources.